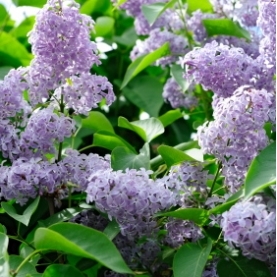 Enjoy the wonderful and sweet aroma of lilacs year round! Thick and pasty, this CO2 extract is solid at room temperature. To use, it must be warmed (for instance, by setting the bottle in very warm water) and then quickly added to carrier oil to be soluble. Total grade of CO2 extracts - these are extracts manufactured by using only CO2 as solvent... they contain the essential oil from the plant been processed + plant waxes. These are solid waxy products at room temperaure and are soluble in carrier oils... A water bath at 50 centigrade will liquify them and make them suitable for inclusion in skin care and cosmetic formulations.